Get ready to put this sauce on, well, just about everything! I love it with stuffed grape leaves. 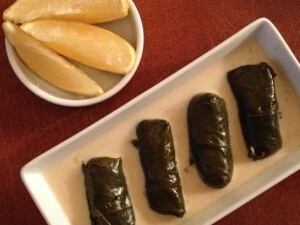 Try it on salads, as a veggie dip, on sandwiches – perfect with felafel! Quick, easy, nutritious and delicious. Whip up a batch and you’ll see, the possibilities are endless. Tahini lemon sauce is traditionally made during lenten periods as a dairy-free version of avgolemono or egg-lemon sauce. 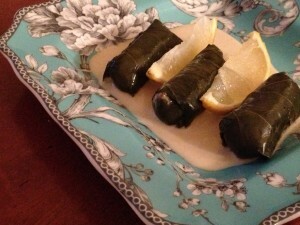 My father added his own twist to this recipe many years ago that I’ll share with you now. 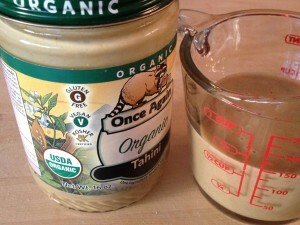 By adding a small amount of humus to the sauce you get a significantly smoother and creamier texture. The difference is amazing. 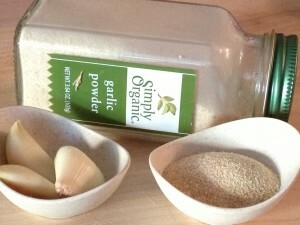 You can use fresh garlic or garlic powder depending on your preference. Each works fine and I’ve included measurements for both in the recipe here. 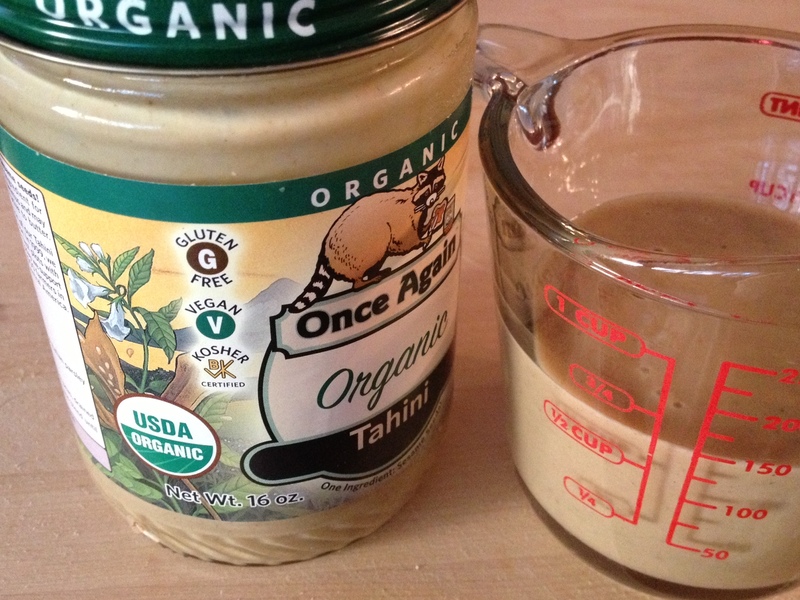 Reminder, stir your tahini well before scooping out of the jar. Much of the delicious sesame paste settles on the bottom of the jar so make sure to incorporate it into the more oily part on top. The creamy, nutty goodness will be worth the effort! Fresh squeeze your lemon juice, the brightness it adds to the finished product is amazing. And don’t be afraid of the mustard powder. It amps up all the other flavors of the sauce without tasting mustardy. The ingredients in this recipe really all complement one another perfectly in taste and texture. Simply combine all ingredients and whisk together with a fork. If you prefer a thicker sauce, use less of the vegetable broth. I like a thinner consistency myself. Experiment to find what suits your tastes. Combine all ingredients and whisk together with a fork until completely incorporated. Adjust the amount of vegetable broth to achieve your desired consistency. 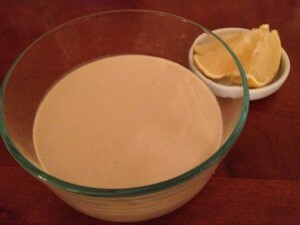 This recipe make approximately 2 cups of sauce and will keep nicely, covered and refrigerated for up to two weeks. Soooo excited I found you on the internet. I have been vegan for about 6 years. Your recipes look amazing!!! Thank you from the bottom of my heart for sharing!!! Will you be doing a cookbood? 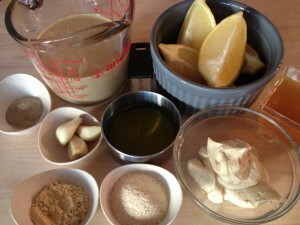 I just made this to compliment your fried zucchini, and it was the perfect match–thank you!!! I suspect I may be adding this sauce to many other things!